Thank you for purchasing your limited time "Black Friday" ticket vouchers! 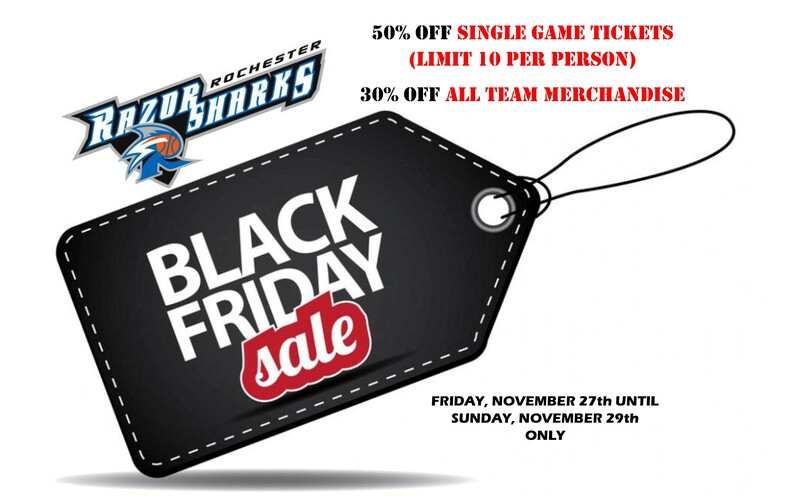 These individual vouchers are redeemable for any regular season game during the Rochester RazorSharks 2016 season. Must be submitted at the Blue Cross Arena Box Office on game day. For further questions or concerns, please call 585-232-9190.